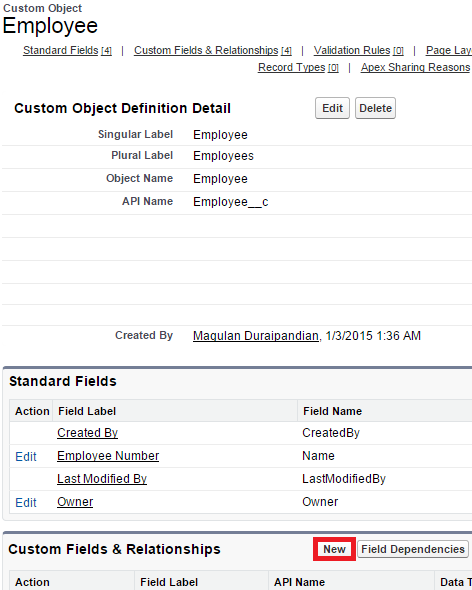 Infallible Techie: How to create custom fields in Custom object in Salesforce? 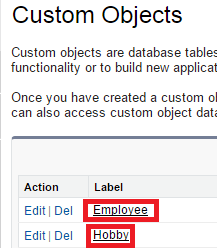 How to create custom fields in Custom object in Salesforce? 1. Go to Setup --> Build --> Create Objects. 3. Click "New" Button under Custom Fields and Relationship section.